Microsoft have announced their awards to partners and the following list contains the Dynamics CRM Partner of the Year winner and finalists. This entry was posted in Information, MS CRM and tagged 2012, CRM, Microsoft Dynamics CRM 2011, MSCRM, MSCRM 2011, Partner Award on June 26, 2012 by Rhett Clinton MVP. Sometimes there are just too many labels for something and in this case we now have the Dynamics CRM 2011 Rollup 9 R8 Q2 Service Release CRM Anywhere BETA available, essentially Rollup 9. You can now test your code against multiple browsers and check out the latest Activity feeds features along with a bunch of other cool features coming in this major release. Make sure you check out the updated SDK download if you are interested in the code side of things. You can download the Release Preview Guide here. Check Girish Raja’s blog on MSDN http://blogs.msdn.com/b/girishr/archive/2012/05/09/microsoft-dynamics-crm-2011-ur9-a-k-a-r8-beta-is-here.aspx for all the links on how to get access and start learning about the new bits. This entry was posted in Information, MS CRM and tagged Beta, CRM, CRM 2011, Microsoft Dynamics CRM 2011, MSCRM, MSCRM 2011, Rollup 9, Updates on May 11, 2012 by Rhett Clinton MVP. IIS automatically compresses many types of content including script, images and css files to help improve network performance by minimizing the amount of data required to be transferred between the client and server. 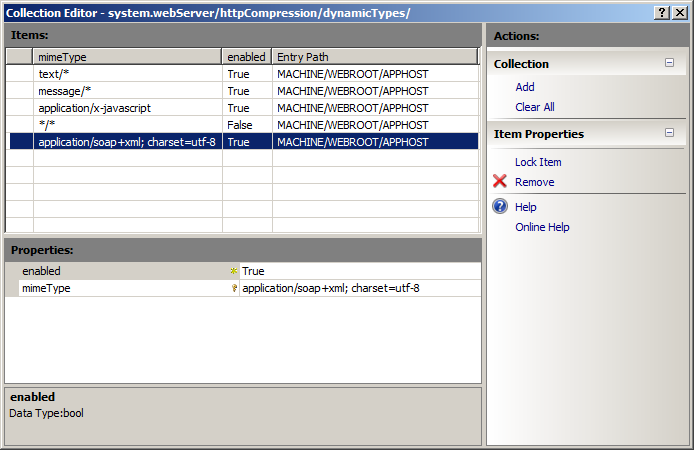 WCF responses which have a mimetype of ‘application/soap+xml;charset=utf-8’ are not compressed by default by IIS. Dynamics CRM 2011 Outlook client uses WCF to retrieve data from the server and minimizing the network traffic across these clients especially when there are a large number of Dynamics CRM Outlook client users can have a positive impact on network load freeing up resource for other processes. With WCF compression enabled you may see up to 30% reduction in response size and you can discover this by analyzing network traffic before and after it is enabled. The largest benefit that can be obtained from compression is by enabling SSL for your Dynamics CRM deployment, even for on-premise. 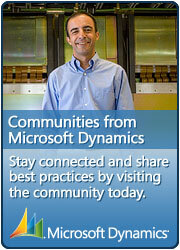 Using SSL you may be able to gain an 80% reduction in the response size for your Dynamics CRM Outlook clients. The side effect to all of this is the impact on server resource in particular CPU when it performs the compression and with SSL, the encryption. Therefore it may not provide benefits in every scenario though weighing up the different aspects of your environment including the amount of users, and performance testing these features may show a positive increase in network performance. Open the Command Prompt on the CRM Server. Reset IIS for the setting to take effect. On the CRM Server Navigate to: C:\Windows\System32\Inetsrv\Config\applicationHost.config and open it with notepad. Save the file and reset IIS for the setting to take effect. Add a new item and enter application/soap+xml; charset=utf-8 as the mimeType. Enable the mimeType and close the window. 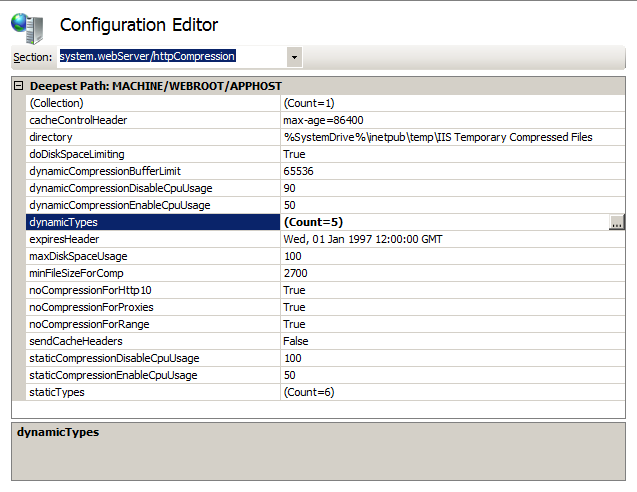 Select Apply on the Configuration Editor and then reset IIS for the setting to take effect. Note: Ensure you test this thoroughly in a test environment before configuring your production environment with this setting. This entry was posted in Information, MS CRM and tagged application/soap+xml; charset=utf-8, CRM, CRM 2011, httpCompression, IIS, Microsoft Dynamics CRM 2011, MSCRM, MSCRM 2011, Network traffic, Outlook Client, performance, SSL, WCF Compression on February 20, 2012 by Rhett Clinton MVP. eXtremeCRM is the premier event focused exclusively on Microsoft Dynamics CRM and dedicated to advancing best practices and strategies for Microsoft Dynamics CRM organizations. There are two separate eXtremeCRM events held each year, one in Europe and the other in the United States. After the successful eXtreme Prague in 2011 the next venue is Berlin coming up in February 2012. The event is held over a number of days and covers a wide range of subjects all related to CRM. There are 4 tracks including Sell. Deploy, Extend and the highly anticipated eXtreme Practice Leader Summit. There is something for everyone at eXtreme, if you’re a customer or partner, user or developer, sales or management, check out the agenda and see what best suits you. There are some great speakers presenting in Berlin at eXtreme including 2 of my colleagues Ramon Tebar and Wael Hamze. These guys know their stuff and if you look at the speakers list you will see just how much experience is going to be there including Microsofties, MVP’s and other industry experts, the Ask the Experts session should be awesome! The next eXtreme after Berlin is in Las Vegas during September-October 2012, if you can’t get there for that, then you should get to Berlin in Feb, learn something new and network with an exciting bunch of people. This entry was posted in Information, MS CRM and tagged Berlin, conference, CRM, CRM 2011, Event, eXtreme, eXtremeCRM, microsoft dynamics crm, Microsoft Dynamics CRM 2011, MSCRM, MSCRM 2011, MVP, Practice Leader Summit on January 19, 2012 by Rhett Clinton MVP. Updated assemblies for Microsoft Dynamics CRM 2011 Update Rollup 6 and the Microsoft Portal developer toolkit and developer extensions. Information about creating localized dialog processes. The Microsoft Dynamics CRM Sustained Engineering (SE) team have been hard at work to get the UR6 release to us all. Update Rollup 6 cannot be removed. Specific database updates are applied in Update Rollup 6 that will not allow for uninstall. Future Update Rollups will require Update Rollup 6 to be applied before they can be installed. This is so future Update Rollups can support uninstall. Full product installations on the download center will be replaced with new packages that include Update Rollup 6. If CRM is installed from those packages, UR6 does not need to be installed. This entry was posted in Information, MS CRM and tagged 05.00.9689.1985, CRM, CRM 2011, download, Microsoft Dynamics CRM 2011, microsoft update, MSCRM, MSCRM 2011, Rollup 6, Updates, UR6 on January 12, 2012 by Rhett Clinton MVP. This entry was posted in Information and tagged CRM, CRM 2011, Microsoft Dynamics CRM 2011, MSCRM 2011, SDK, Software Development Kit on December 1, 2011 by Rhett Clinton MVP.